Ruben and Ozzy Lopez first learned the restaurant ropes while working under their uncle at the Beach House in Rancho Mirage. Twenty-five years later, the brothers continue to heed their uncle’s advice. Only the setting has changed. The duo have opened Ruben & Ozzy’s Oyster Bar and Grill, 241 E. Tahquitz Canyon Way, in downtown Palm Springs. 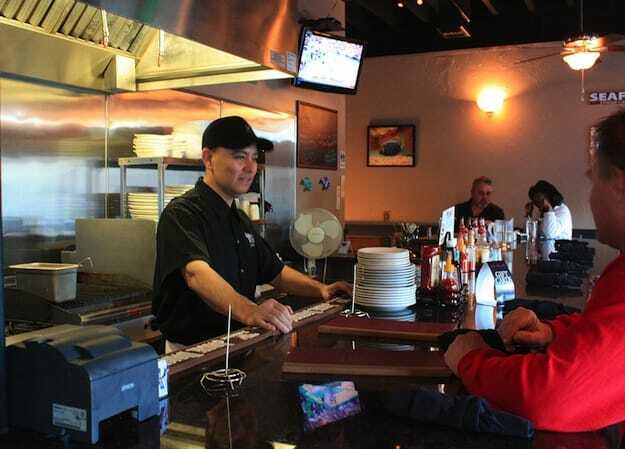 Over the years, Ruben said loyal customers who patronized their offerings at the Beach House and Shanghai Red’s in Palm Springs asked the pair when they would open their own restaurant. Last fall, they finally did. “Watching their talent, knowing how many years they have been doing this, it was all green lights to open their own restaurant,” said Ruben’s wife, Mara. “To see their life’s dream come together is very satisfying. Ruben & Ozzy’s Oyster Bar and Grill serves internationally influenced seafood dishes. Menu items range from cioppino, Italian seafood stew with shellfish and marinara, to Mexican Poke, a Japanese-inspired appetizer of Ahi tuna, avocado, jalapenos and sweet and spicy sauce. 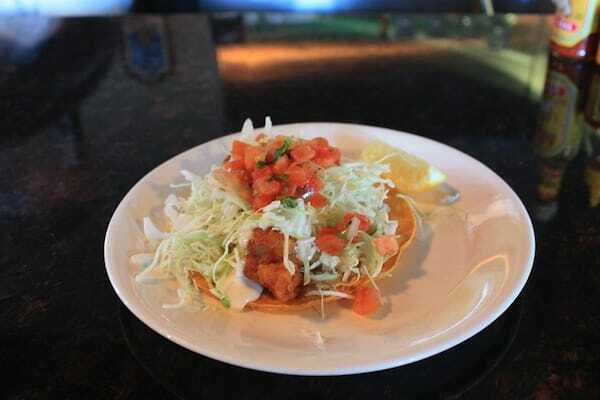 But what Ruben and Ozzy are best known for are their fish tacos, which Ozzy estimates they sell 200 to 300 each night. While the ingredients appear simple enough — beer-battered or grilled cod, cabbage, pico de gallo, white sauce and a fresh tortilla — Ozzy insists there’s a secret weapon. “It’s the passion,” Ozzy said. 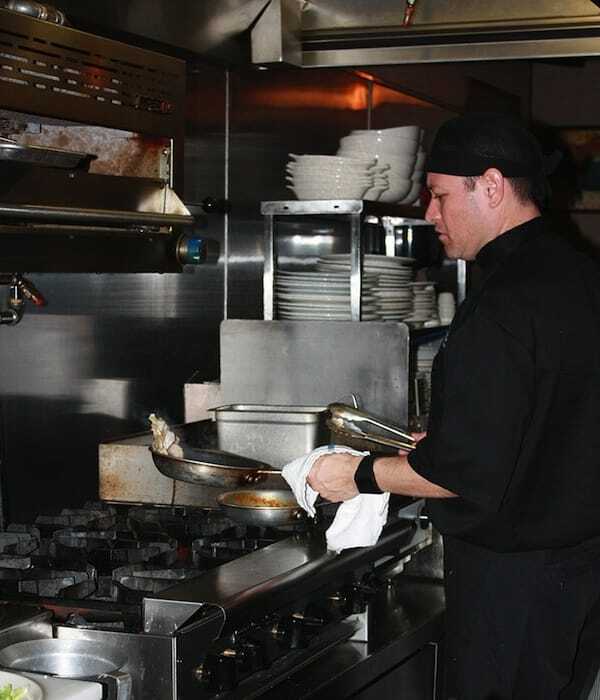 With the kitchen located directly behind the bar, customers are treated to a front-row seat of Ruben and Ozzy’s passion for food. The brothers decided against a traditional backroom kitchen because it would have created a divide between themselves and the customers. The duo intuitively picks up each other’s cues and they are often able to cook without saying a word. Watching them cook, Mara said, is incredible. After working together for so long, Ozzy said the secret is to go with the flow. 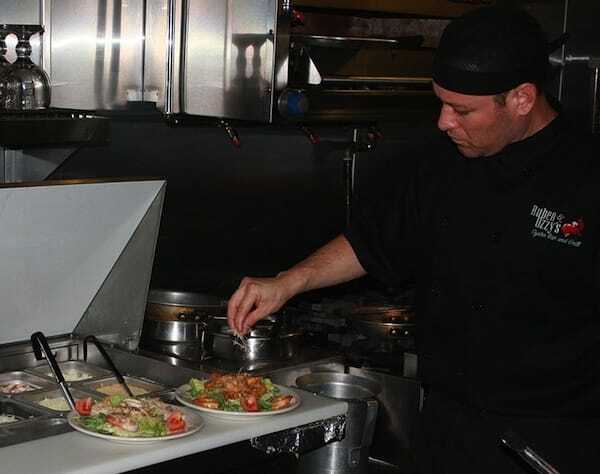 The open kitchen also lends itself to creating anything their customers request. In fact, customer inspiration led to one of the restaurant’s most popular off-menu items. Chef Ozzy Lopez sautes shrimp for a salad. Ruben and Ozzy sell between 200 to 300 fish tacos every night. 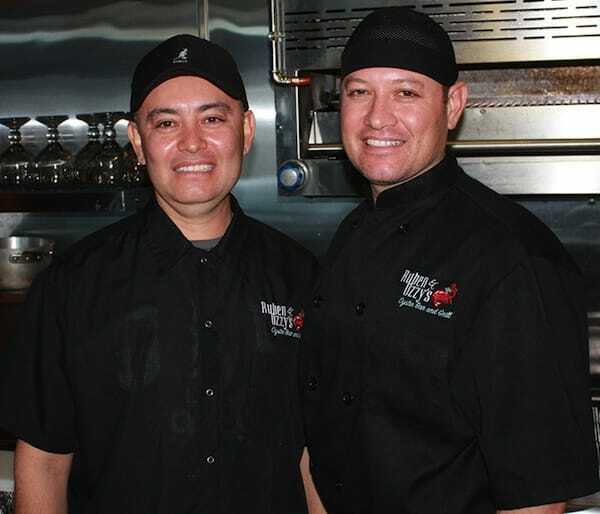 Brothers Ruben (left) and Ozzy Lopez are the owners of Ruben & Ozzy's Oyster Bar and Grill in downtown Palm Springs. Chef Ozzy Lopez adds a sprinkle of cheese to shrimp salads. 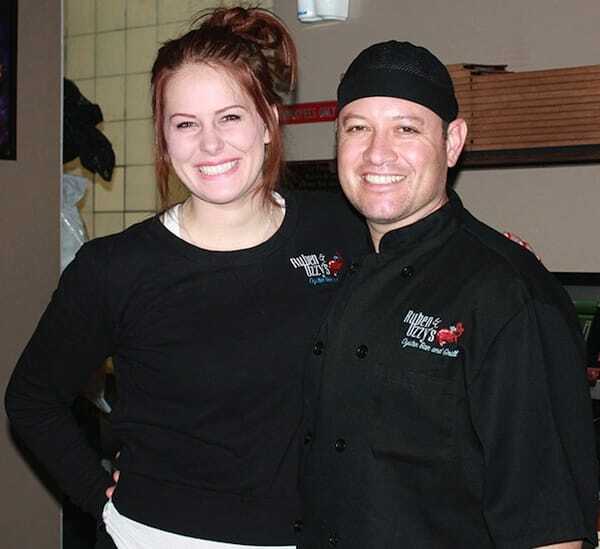 Server Lexi Smith and Chef Ozzy Lopez.